First thing that happened was that my horse decided to be difficult and bite people (more so than usual) so I started to go to the stables first thing every morning to feed the horses and take the cranky old man outside for the day. I’m still doing that and I also go there every night to take him in and feed all of them. So the horses and the stable work, riding etc. takes some time off of my day, every day. Then in august my oldest kiddo started preschool. Here in Finland pre-school starts on the year you turn 6 yrs old and only lasts for one year. So that was a huge change too. Instead of having three little kids at home one kinda became a big girl overnight. In her own opinion anyways ;) and I ended up driving the beginning of my day between home, stables, home, school, stables, home … you get the drill. I’m used to it now and everything goes smoothly but it still takes a lot of my time. Of course then it’s summer itself. You take the kids swimming, spend a lot of time outside, barbecue and so on. Just so much to do and by the time I got the kids to bed every night I just felt like crashing on the couch and watching TV. Also the stable work took a toll on my nails and busy life made me pretty much ignore them. I didn’t have time to go to the IBX treatments anymore and all the of the sudden I had a peeling and breaking mess to deal with. I have found good product combination now and the disaster is almost dealt with. I still kept breaking the corners off the square nails so now I’m growing them to the almond shape. Now I just have to wait for all of my nails to grow to the same length and shape and we are good to go here. It’s crazy how life just gets to you sometimes and swallows you whole so that you start to lose the essence of who you are. Luckily I’ve always been able to find my way back to being me after these breaks and the joy of reuniting myself with my beauty hobby has been very exiting. I’m going to be realistic here though. I won’t be able to post daily. I think I can manage two or three beauty related posts during the week. I’d also like to start posting about other things during the weekends. Maybe sometimes I could write about my usual day at the stables. 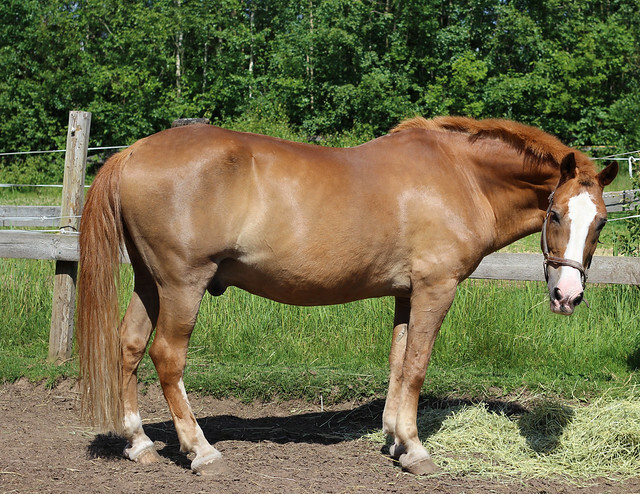 Talk about my horse and how it is to have a cranky 24 years old horse. 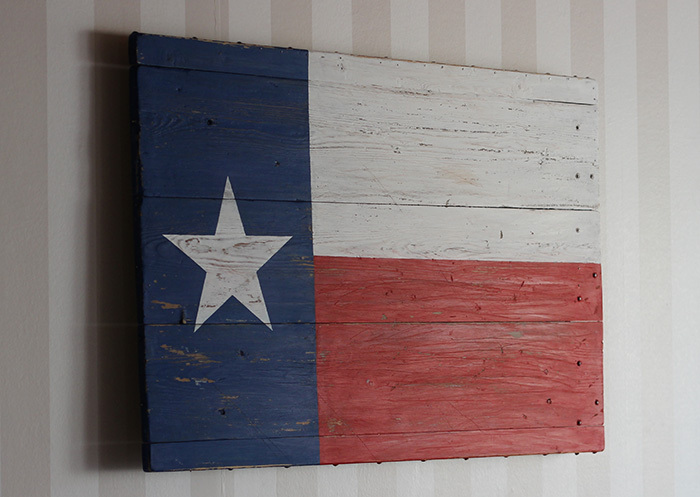 I could show you some of my DIY projects like this flag of Texas I painted on a decades old, half broken table top and then made it look weathered. 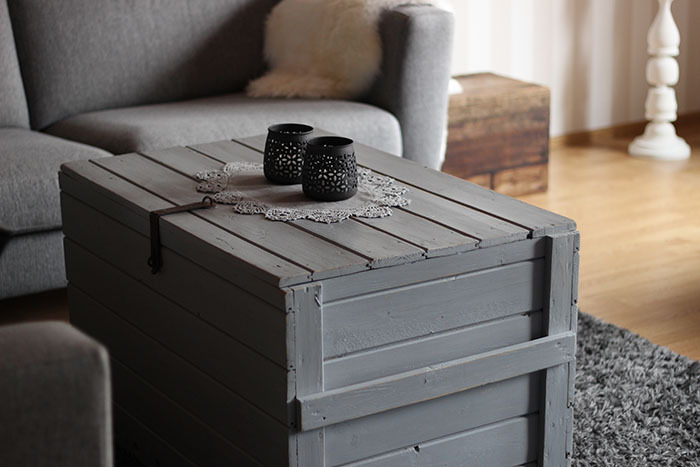 …or this old trunk I painted and turned into a living room table. I would also like to write about the body acceptance and body image issues I addressed on Instagram earlier this year. That seemed to be a subject that interested many. It’s very personal and not easy for me to put myself out there like that but I also think it could be therapeutic. 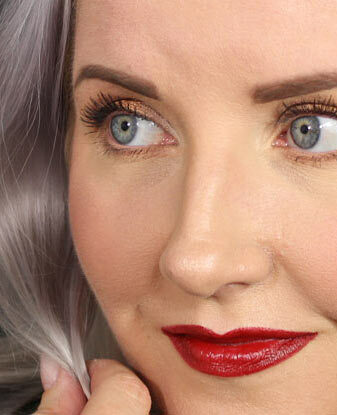 All in all I would like to add a little more personal touch to this blog instead of just doing swatch photos and product reviews. It sounds like you’ve had a busy few months! Welcome back to blogging! Thank you :) It’s good to be back. Welcome back! Are you originally from Texas? Thank you :) No, I’m Finnish but my husband lived in Houston, TX for years before moving to Finland.